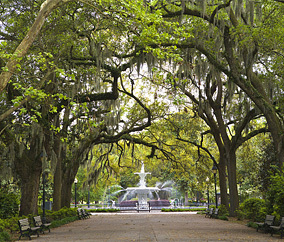 Tauck's unforgettable trip through South Carolina and Georgia tours places reminiscent of long-ago days of gracious Southern living... a rarefied world of plantations, 19th-century mansions, magnolias and live oaks hung with Spanish moss. Explore National Historic Landmark Districts in Savannah, Jekyll Island, Charleston and Beaufort... visit Fort Pulaski and a maritime museum in Savannah... stay beachfront at Hilton Head Island... take a privately guided tour of Drayton Hall, and stroll through the gardens of Middleton Place... discover Savannah's beloved Madeira traditions on an exclusive private evening... spend some special time with Aunt Pearlie Sue, master storyteller of Gullah-flavored folktales… celebrate 300 years of history in Beaufort... and more. Tauck's South Carolina and Georgia tours are as refreshing as a cool glass of sweet tea! T+L Family Club Members will receive an additional 5% savings as well as a $100 on tour spending credit! Travel should be life changing, eye opening, exciting—and engaging for all ages. Tauck’s vacations are designed to spark a passion, inspire a sense of wonder, and enrich understanding, and when these experiences are shared with loved ones, they bring you closer together. Trust Tauck to take you and your family on an unforgettable adventure with destinations all over the globe.